Louis T Collection and owners H&M Capital Pty Ltd have commissioned a diverse team of architects and designers to remodel the existing New Esplanade Hotel. The original hotel, that opened in 1898 and demolished in 1972, was a popular and architecturally significant landmark. The more recent property, built adjacent to the old site, was reopened with 67 rooms and a small restaurant. The remodelled version, set to open in summer 2018, will have 80 rooms and new public areas including a lobby café, rooftop bar and restaurant, and a co-working space. Although design plans are still in early stages, the project team will stay true to the laid-back vibe of Western Australia, incorporating local style and craftsmanship into both the interior and exterior of the property. As a result of the extensive remodelling, the team plans to create a more boutique guest experience. The New Esplanade Hotel will be residential interior stylist Malvina Stone’s first foray into the hospitality arena. 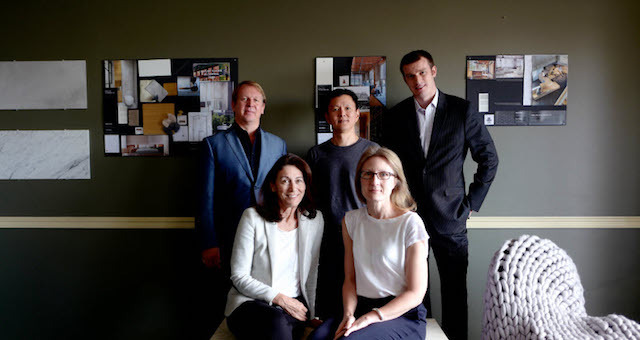 Stone will work on the redesign alongside Nicola Gibson, collaborative architect, and the Perth based architectural firm Alda Consultants, led by Andrew Lian. Design elements include Australian timbers, wool and linens. The feel will be comforting rather than ‘showy’, with a nod to local contemporary artists and palette. Occupying the entire ninth floor will be Perth’s first dedicated 24/7 collective work space where guests and locals can convene to work, meet and socialise. The New Esplanade’s top floor will be transformed into an indoor/outdoor rooftop bar and restaurant featuring views of the Swan River and promenade below. The menu will offer authentic grilled and shared food platters showcasing local produce, paired with Western Australian wines and craft beers. According to Lian of Alda Consultants, the exterior design will embrace a ‘new meets old’ philosophy to maintain the character of the property, while updating the existing bay windows and extending the facade of the roof top to highlight its location in the Perth skyline. 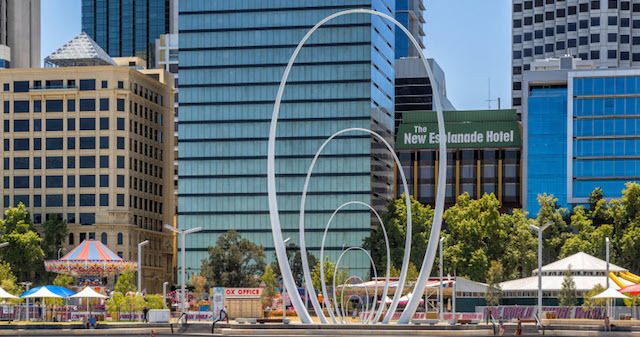 Lighting will play a critical role in the exterior aesthetic, complementing the property’s ‘front and centre’ position in the new Elizabeth Quay waterfront development.